The Optoma W341 DLP projector is the perfect budget WXGA projector for classrooms, meeting rooms and boardrooms. With a brightness of 3600 lumens, WXGA 1280×800 resolution, and 22000:1 contrast ratio, the W341has an impressive image which is bright, with vivid colours and deep blacks. The weight of the unit is just over 2kg’s and it has a size of 29cmx23cmx10cm, making it suitable for use as a portable unit. 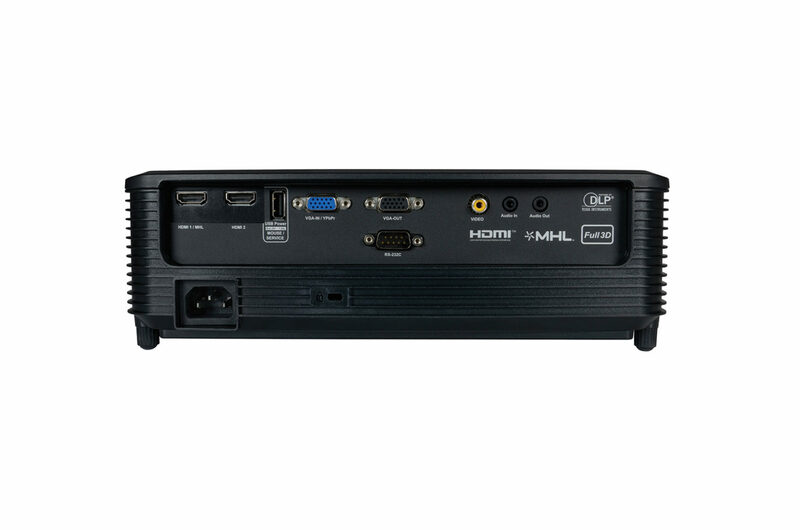 The standard VGA input is there as well as 2 HDMI ports, one of which has MHL support. In addition there is a USB port which provides 5v/1amp of power, so using HDMI chromecast dongle is a cinch. Other connectors include composite video, audio in/out, VGA out, RS232 control and the unit has a 10w speaker built-in. The lamp time is between 5000 and 10000 hours depending on the brightness setting with a warranty of 1 year or 2000 hours, whichever comes first. The unit as a whole has a warranty of 2 years and the Optoma 5-year colour warranty also applies. All of the above make the Otoma W341 an attractive choice when deciding on a new projector. The old XGA(1024×768) resolution is dead and buried and 16:10 is the new standard for projection of images. The W341 has all the connectivity you need, and with 3600 ANSI lumens is bright enough to use in most business applications. 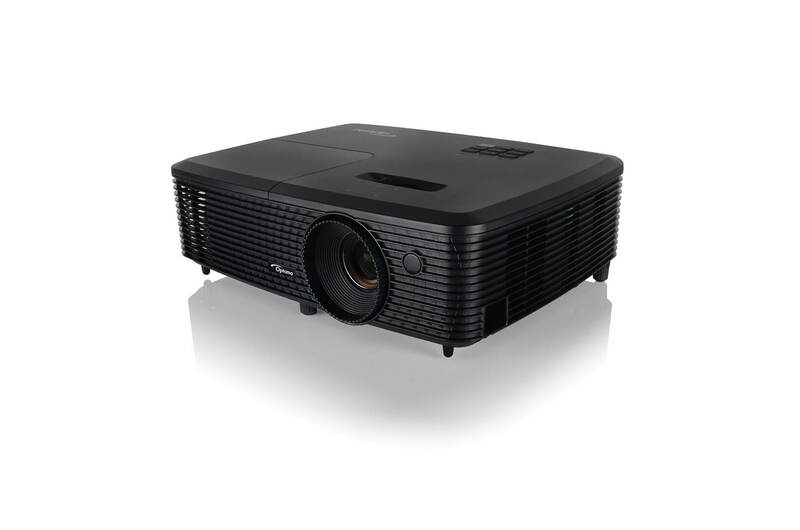 At a retail price of R8999incl vat this projector is excellent value for money. USB Power – Use the USB power to power an HDMI dongle, such as the Google Chromecast. Edge Mask – This eliminates soft edges and jaggies on the border of the projection image to produce a smooth, consistent image. Michael manages AVC’s Durban Branch and has worked in the Audio Visual Industry for 17 years.